*Quote comes from ARC, therefore it and its location are not final. 1. 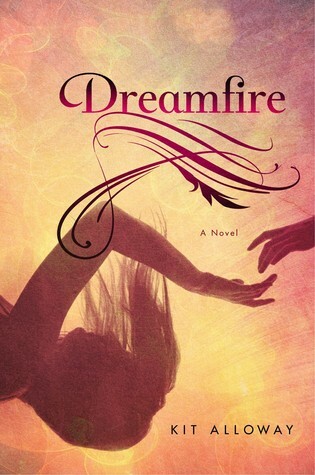 Dreamfire by Kit Alloway--seeing this one around recently, so I already placed an order over the weekend! 2. 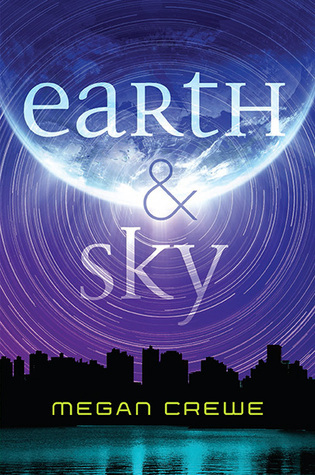 Earth & Sky by Megan Crewe--was curious about this one and after I read a review I was sold! Just need to get it! 3. 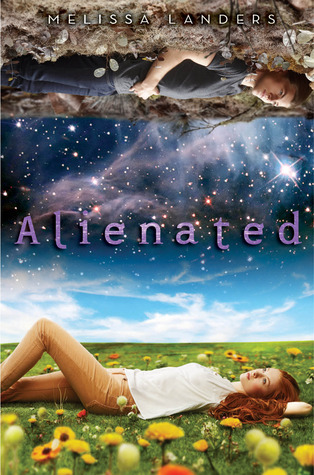 Alienated by Melissa Landers--another one I was hesitant about, but then, again, another recent review convinced me I need to get it asap! 4. 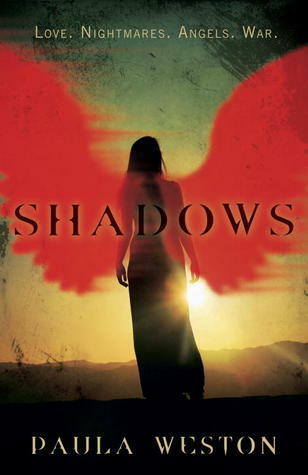 Shadows by Paula Weston--have seen this series around lately, and suddenly curious to try it out!! 5. 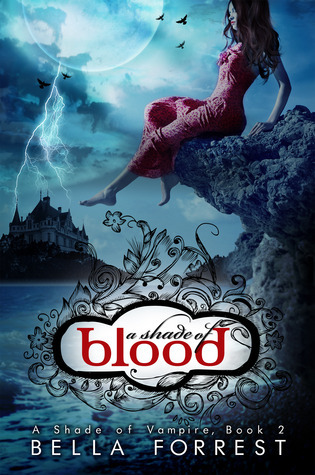 A Shade of Blood by Bella Forrest--I read the first in this series so long ago! I really need to get to the rest of this series! It's still going strong too! 6. 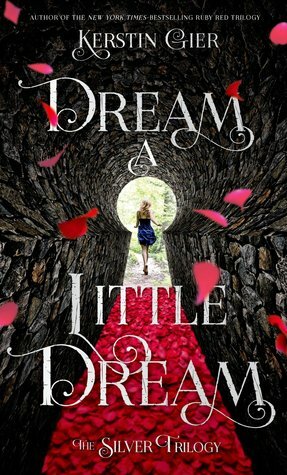 Dream a Little Dream by Kerstin Gier--I still need to read her Ruby Red trilogy but seeing this one around a bit lately and once again, find myself intrigued with the author and her books! 7. 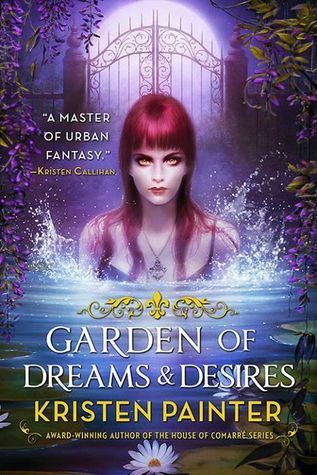 Garden of Dreams and Desires by Kirsten Painter--one that I just added this past week! Need to get to it soon too! 8. 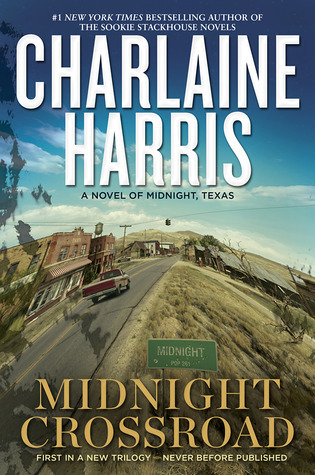 Midnight Crossroad by Charlaine Harris--another one that I literally added to the pile last week! It was offered to me for review, so I went for it! 9. 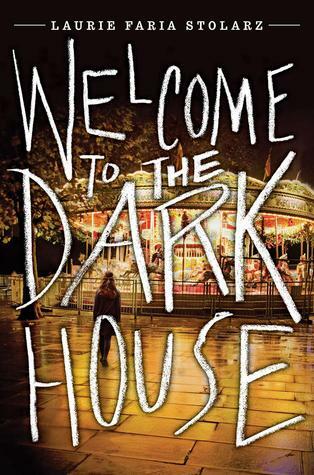 Welcome to the Dark House by Laurie Faria Stolarz--yet another one that was legitimately added to the pile! Cannot wait to read this one! Plus her other series I have yet to start! 10. 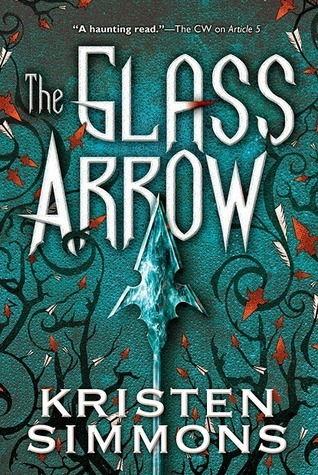 The Glass Arrow by Kristen Simmons--another recent addition to the TBR Mountain of Doom! Read too many good reviews on this, so I kind of went on binge shopping spree the past few weeks! The Glass Arrow <3 !!!! You'll love Earth & Sky and Welcome to the Dark House, they remind me of old school YA. Dreamfire and Dream a Little Dream have been in my tbr pile for a while, the both sound great. I still need to read Alienated! Awesome list! Loved the teaser for Ice Kissed today- haven't read this series yet. I want to just haven't made it there. For the first time ever, I have not read a single book in your top ten. Will be waiting on reviews though. I think I have The Glass Arrow on my TBR as well. I'm definitely checking out many of these books. All of your Top Ten Tuesday picks look amazing! I hope you get to read all of them! Your teaser also sounds really interesting and a little bit scary! Thanks for sharing and dropping by :) I hope you have a great week! Great choice for your teaser! Sounds like she might be in danger of drowning? Great list full of some great sounding books, and a few I need to look up as I haven't heard of them! There's a ton of pretty covers there! I have Shadows on my shelf, but haven't read it yet. 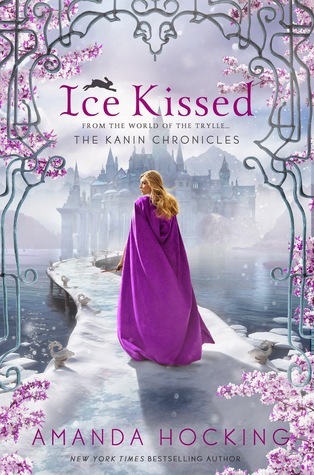 I love the cover of Ice Kissed! I hope she's ok! Sounds like she might freeze :( Great teaser! Here's mine. Happy reading! I'm totally obsessed with the cover of Dream A Little Dream. And as I'm sure you know, that isn't my normal type of read so I'll probably never read it. Boo. :( I wish I could frame that cover for my wall. LOL Enjoy! Nice list of books this week!! I won a free copy of Earth & Sky through Goodreads First Reads program and just need to make time to read it. I was going to start doing the top 10 but I couldn't make mind up on what books to use lol. I'll be curious to see what you think of the new Harris book and Glass Arrow sounds really good too! I liked Dream a Little Dream better than the Ruby Red Trilogy. They are completely separate story lines. No need to read Ruby Red first. I liked Midnight Crossroad too. I was turned down to review the second book but I already bought a copy and will have it on my Kindle when it releases. Happy reading! Alienated and Earth and Sky didn't make my list this week, but I think they're both on my TBR. Hopefully I'll get to them eventually. Thanks so much for stopping by my blog. Happy Tuesday! I actually really enjoyed Alienated when I read it. (Which surprised me) But I still need to get to the sequel, Invaded. Hoping that'll happen soon. And Dream a little Dream's cover is so prety! I'm really excited for Dream a Little Dream! I still need to read Emerald Green, the last book of the Ruby Red trilogy. I hope you enjoy these books! Old follower! Great list! I've wanted to read Alienated for the longest time but I still haven't read it either. Aliens are just the best! I'm reading The Glass Arrow right now. I'm not far along yet but it's good so far! Other than that I haven't seen any of the books on your list, which means I should check them out! Great teaser, Jessica!! I read FROSTFIRE a few months ago and really enjoyed it a lot. I hope to read ICE KISSED soon. I'm excited to see what happens after the cliffhanger of book one!! I hope your enjoying it!! Cool teaser! I'm reading Dreamfire right now and really enjoying it! Oooh... I wonder what happened to her! Stacking the Shelves--HOLY COW! I did it again! Stacking the Shelves--OMG!!! It's SO HUGE!! Stacking the Shelves--Opps! I did it again!